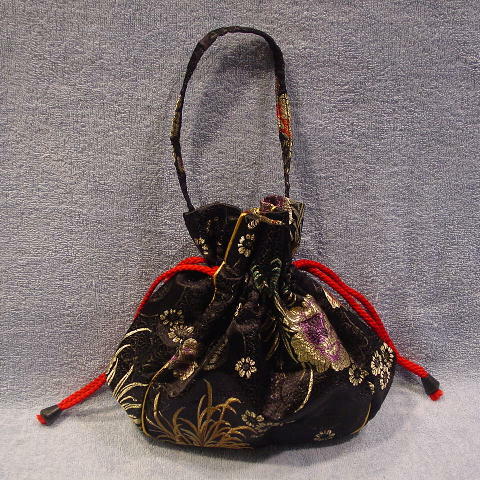 This never-used black fabric (probably polyester-faux silk) evening purse has a red cord drawstring closure which is 2" from the top. 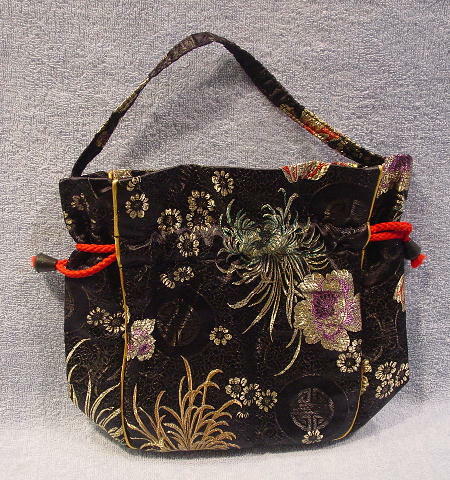 It has a fabric matching handle. 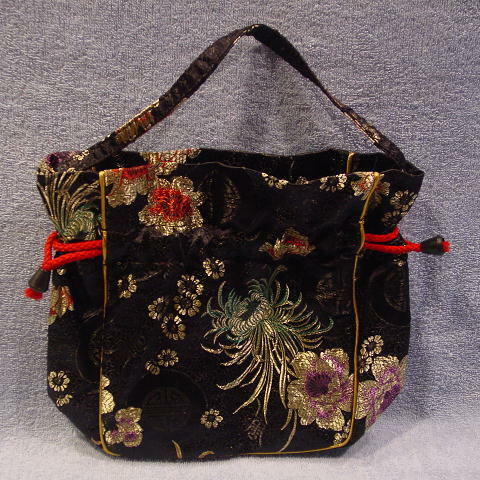 There is a tone-on-tone design pattern with an Asian design and flowers in purple, red, green, black, and champagne-pale golden-bronze. It has thin gold-tone cord accents. There is a shiny black fabric lining.